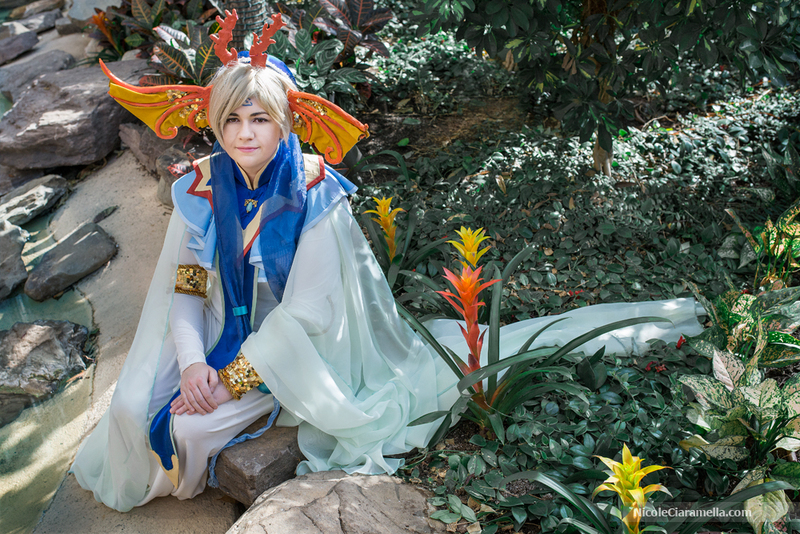 Is anyone else into costuming and/or cosplay? I've been cosplaying and going to conventions since 2004 and I love it. The creative process is so much fun (except when everything goes wrong), as is wearing them around a convention. Gorgeous costumes! I especially love the Yui Hongo. What material is the cape? I've escorted our 14 yr. old to several anime conventions. Last one she went as a Vampire Knight character. I can't sew to save my life so we bought an already made costume off the internet. I've always wanted to design and make either an original Steampunk airship captain costume or a Victorian Asian geisha/assassin costume for myself to wear when I take her to these things. Thanks! I think it's a polyester chiffon, pretty sure polyester because I remember having to use a iPoly to dye it (it was originally off white). It was 120" wide, which was awesome because it was only $3 or $4 a yard. I just started getting into cosplaying. I always wanted to but never had the chance or time. Plus, every time a convention rolled around I was always too sick to go. Going to try and do several costumes this year. I really need to learn to use my sewing machine. I've never done it but I really want a Peggy Carter outfit - that iconic blue suit with the red hat. Don't have the $$ to splash around on fabric now though, but maybe this autumn/winter. Huzzah! I wanted to ask for advice for costumes but couldn't remember if there was a costuming thread or not. Re: Peggy Carter - I got the unofficial Peggy Carter pattern from Simplicity but I don't have the fabric. I may wait til this summer when I'm home and have my mother's assistance handy. I can't decide which I should do first. Either would be fun, and a lot of work, and I'd have fun wearing them to RenFest this autumn. Also wondering what colors I should go for; I'd love any advice! I love that 1940's look. Very Peggy Carter! Personally, I like jewel tone colors for Medieval women's costumes. A rich deep blue with silver accents or a deep burgundy with gold. I like the idea of a rich blue with silver accents! Those Renaissance ones look very pretty! I'm trying to put together a Peggy Carter outfit this year, too. A co-worker gifted me with several hats that she no longer wears and one was a red fedora! So, it's fate, basically. I'm currently trying to get my outfits together for this years Phoenix Comicon. I just need a white button up shirt for my Hufflepuff one. I also need a hammer and helmet for Thor. I need at least one more though. It's a 4 day convention, but really only Friday-Sunday are full days. I don't feel a need to put anything together too much for Thursday as it's a half-day. I have a tentative agreement from husbeast that he a) will come to a Con with me (neither of us have been to one before) and b) he'll come even if I cosplay (which is a big deal because he hates having attention drawn to us). This is slightly off topic but thought BKs who read this thread might have a suggestion. 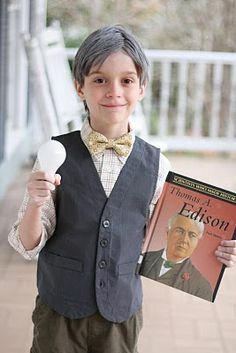 My 9 year old grandson has a project for school in a couple of weeks to portray Thomas Edison, give a talk on his life, etc. He is supposed to dress up like him, but how on earth is he going to get his hair to look like this? Grandson has dark brown hair, Edison has white hair that is balding. I went to a couple of costume shops in Denver and couldn't find anything close, much less in child size. @Qitkat how about "Edison as a boy"? Or "Edison when he looked like Stephen Moyer"? ... but the "as a boy" would work better. Your grandson could frame is as "When I, Edison, grow up I will..."
Thanks! At this point, that's about his only choice! But I know he wanted to look like him in the later years. I'll have to talk to his mom at our Easter dinner, see if they have come up with anything. So damn it, how did you post those so quickly? I am at my wits end trying to post from photobucket on my iPad. Just copied the link from wikipedia - right clicked then "open image in new tab". With most things you only need to put it in photobucket if it is a photo from your computer. I wish! There is no 'right click' on iPad, along with so many other features I can't even. Growl. My biggest issue is from photobucket though, I literally cannot post a picture of my kitty to pets of the lounge although I had no issue uploading it to the site. It's an iPad problem I think, but my desktop is not set up right now. 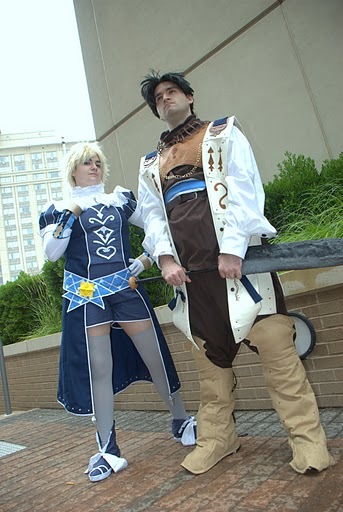 I did a google search for Thomas Edison cosplay and saw this pic come up. Also, @Qitkat, I have the same issue as I have a Mac. I just now discovered that if I hold down when I click the image and then just drag it to the tab I want to post it in, I was able to. No photobucket! @foodycatAlicia, unless you are in a cosplay that is completely over the top, or unique, you probably won't attract too much attention. Since everyone else is dressed up in costume too, it's normal! Thanks everyone for the Thomas Edison ideas. His mom is going to do one of two things. See what the look is with baby powder in his hair, or get a can of colored hair spray in grey. I'm working on a Captain America costume. Nice! I'm working on a Thor costume. Just got the hammer the other day. Only bad thing about it is I need to attach a strap to it so I don't constantly have to hold it. Now on to the helmet. Yes - definitely needs a strap! Lol, yeah my Thor isn't straightforward either. I got a dress from Her Universe on sale at Torrid, and figured why not. Debating a blond wig. I don't know how I would be as a blonde. I've been wondering about the wig too. But I don't get along particularly well with wigs! At the last Anime/Comic Con I went to with my daughter, I saw a girl dressed as a lady Loki. She looked pretty awesome and badass. 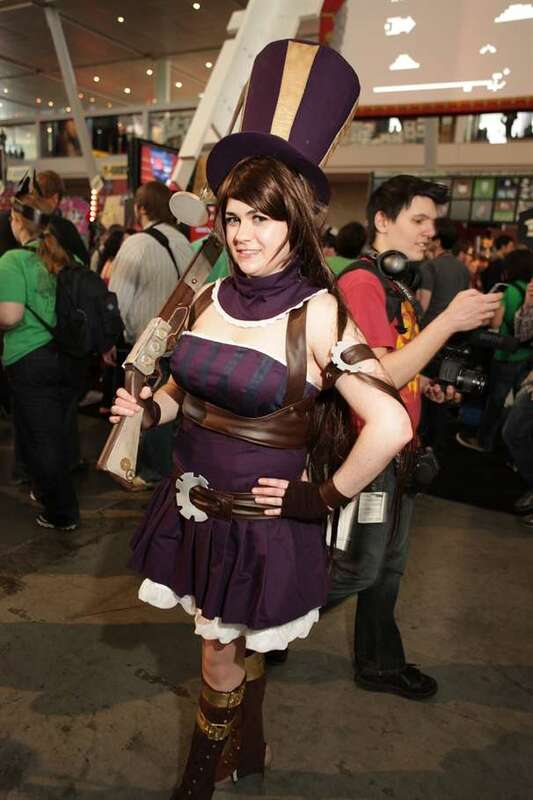 I really like when women cosplay a traditionally male character. My petticoat arrived today. My shoes should be arriving Monday. Just need to make a sweater guard, wear in the shoes and convince myself that I am brave enough to do this before next Saturday. My wigs came yesterday. I bought a red one and a blonde one. I am still not sure how I feel about the blonde on me. I'm hispanic, but insanely light-skinned that most people think I am just plain white. Or Italian. Or Himalayan. The blonde is for Thor, and for possibly another cosplay down the line. The red though, that is for Bombshell Batwoman, and I think I rock it pretty well. Only 1 1/2 weeks left before my con! Poop. The shoes arrived today and they don't fit. Curse my high arches and wide feet. @foodycatAlicia, are they too big or too small? If too big, maybe inserts may help?